MIRETTE brings the award-winning children’s book ‘‘Mirette on the High Wire’ to life in full cinematic glory, featuring BAFTA award winner Miriam Margolyes, OSCAR nominee & TONY winner Tom Conti, and rising stars Dixie Egerickx, Jean-Marc Desmond and Bebe Cave. 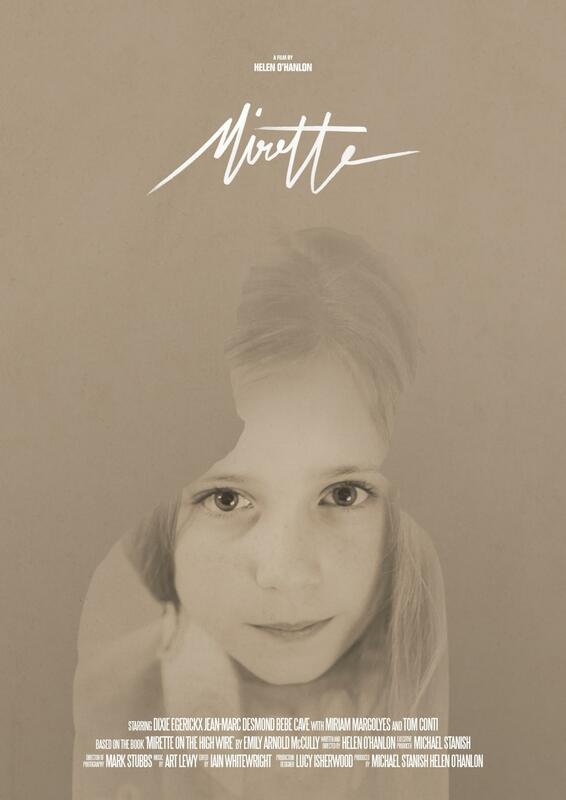 A charming, timeless tale of courage and determination, Mirette is the story of a plucky young girl, whose unexpected encounter with a fabled wirewalker changes both of their lives in extraordinary ways. 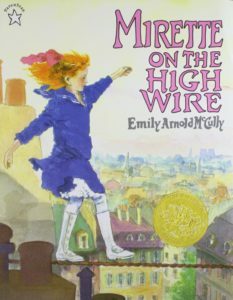 Emily Arnold McCully’s acclaimed children’s book won the prestigious Caldecott Medal in 1993 and has continued to warm hearts across the world, inspiring educational study across the US, a touring theatre production, as well as wire walking training for children notably at the world famous Circus Sarasota. Mirette lives and works with her grandmother Mémé Gâteau who runs a Parisian boarding house frequented by circus performers. One night a mysterious guest named Bellini arrives. While attending to her chores, Mirette discovers him in the courtyard, walking a tightrope fashioned from one of the washing lines. She is transfixed and becomes determined to learn. Undeterred by Bellini’s refusal to teach her, she steals out to the courtyard each morning to learn by herself. She falls a great deal, yet continues despite her injuries. Soon she manages one singular crossing. Elated, she runs to tell the only person who could understand… Bellini. He surrenders and agrees to teach her. And so Mirette becomes a wire walker and a loyal friendship develops between the unlikely pair. The arrival of Charlie Meyer, the infamous agent from London, brings song and merriment, but he recognises Bellini, and in so doing Mirette learns her mentor’s secret – the world’s greatest high wire walker has been left tormented by an accident and unable to perform at height. The next day Bellini disappears. 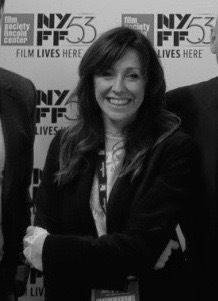 Hailed as an ‘exciting future voice in cinema’ at the 53rd New York Film Festival, Helen’s debut film ‘How to be a Villain’ has become a favourite of critics and audiences and won a number of awards, including Best Director at the Oscar qualifying Bermuda International Film Festival and The Forry Ackerman Award for Imagination in Film at the inaugural Silver Scream Film Festival. A former Senior VP of Sony Music Publishing, she began her career as a music consultant at EMI, pitching and placing music in TV and film. Quickly rising to global executive level, she ran offices in key markets around the world. Having conquered her corporate universe, she took time out to raise her young daughters and began developing the films running riot in her imagination.